Dennis Hearst brings over 30 years of commercial broker experience to CBRE in San Diego. Since 1990, Dennis has exclusively represented tenants and occupiers. He specializes in law firm and corporate tenant representation, built-to-suit representation, client portfolio management and lease vs. own analyses. In the last 10 years alone, he has successfully negotiated lease transactions in excess of $1 billion in total consideration and sale transactions in excess of $400 million. Mr. Hearst began his commercial real estate career in 1980 with Coldwell Banker in Newport Beach, where he spent three years as a broker. 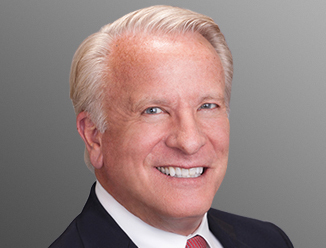 He relocated to San Diego and joined Grubb & Ellis, where he worked for six years as a Senior Marketing Consultant, after which he developed his technical tenant representation expertise during 11 years with Cushman Realty Corporation as Vice President and Managing Director of the San Diego office. Mr. Hearst was a Managing Principal with The Staubach Company for four years and a Senior Director with Cushman & Wakefield for five years prior to joining CBRE as Senior Vice President in 2011. Mr. Hearst is a member of CBRE's National Law Firm Practice Group and Healthcare Services Group. Aside from his Bachelor of Science degree and Master of Corporate Real Estate, Dennis holds a Master degree in Workplace Strategies, giving him a deep understanding of workplace assessments, strategy development and change management. Dealing with many beginning-stage as well as large, complex multi-location companies, Dennis knows “the details are not the details, they are the deal.” Additionally, he is a frequent moderator, panelist and public speaker in the San Diego commercial real estate community. He also chairs the popular Lunch & Learn series featuring topics such as Broker Best Practices, Lease vs. Own, BOMA Measurements and Hotly Contested Lease Negotiation Issues. Dennis carries his energy and expertise throughout his daily life including spending time with his four children, enjoying many sports and teaching. He has a passion for horseback riding and endurance athletics including long distance bicycle racing and touring, triathlons and mountain climbing. Dennis was an age-group winner at the Ironman World Championship in Hawaii, overall winner of Paris-Brest-Paris bicycle race in France, and many other competitions to support charitable causes. His passion for endurance has led to his climbing to the top of many of world’s highest peaks in his goal of reaching The Seven Summits.